There are only a few short days left in 2014. Has it been a good year for you? It was a great year for our family. And how do you celebrate a good year? With a party of course! The party here will be a party of 4 and most likely we won’t be making it until midnight, but that’s to be expected with a one and two year old. Earlier this week I was searching for fun things to do with the kids for this New Year’s and today I wanted to share with you some of my favorites. Countdown Number Printable Banner from Jamie at The Crafting Chicks. These cute chalkboard printables are perfect for creating a festive backdrop for the food table or to put on activity ideas to do on the hour. 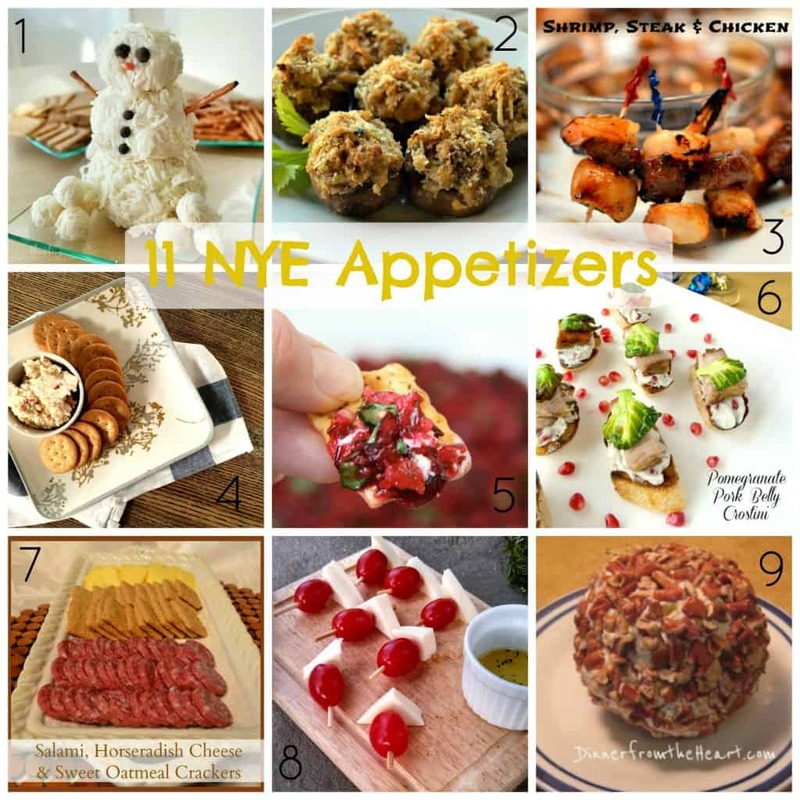 12 New Year’s Eve Party Ideas from One Good Thing By Jillee. There are so many great ideas here! And a lot of them I can make with my boys ahead of time. 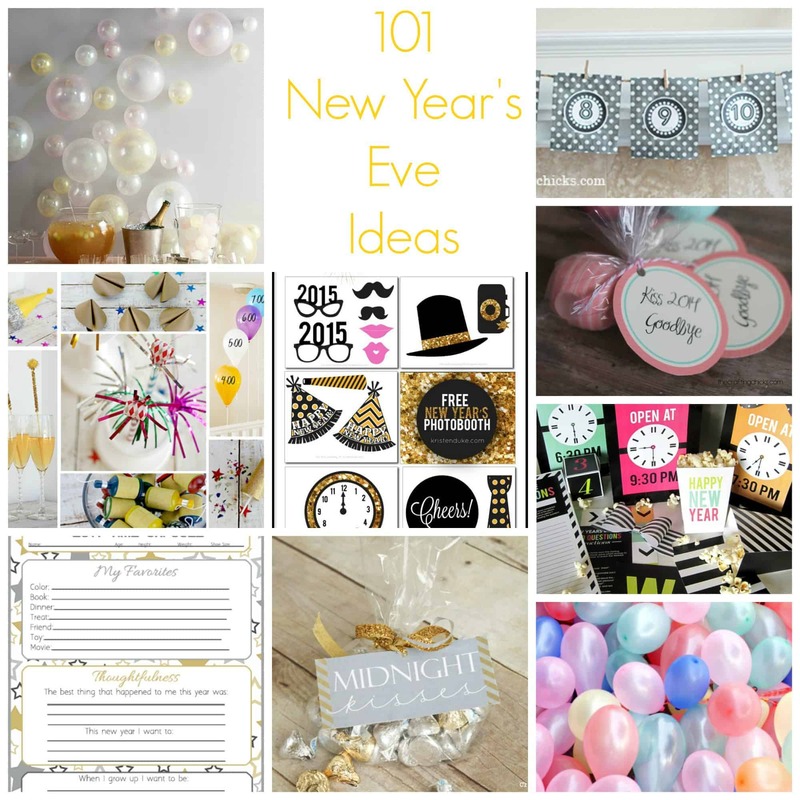 My favorites here include the balloon drop, the washi tape poppers and the glitter ice cubes. 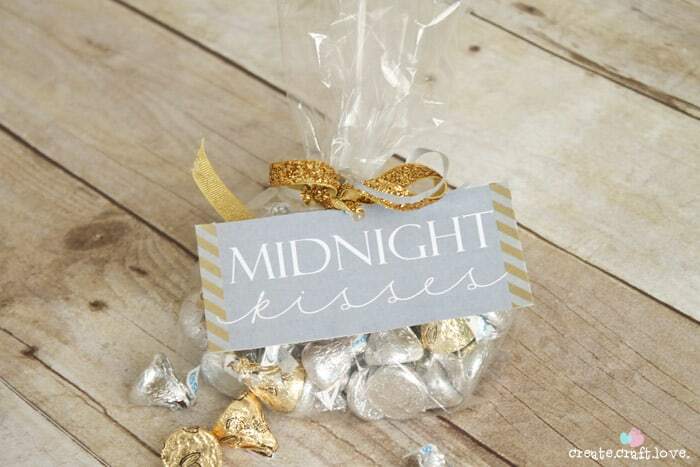 Midnight Kisses Favors from Jill at Create Craft Love. 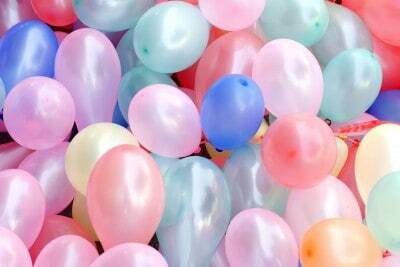 This would make such a cute party favor for both parties big and small. We have extra kisses leftover from our neighbor gifts this year and I think I’ll make these for my boys just in case they make it to 2015. New Year’s Eve Countdown Bags from Courtney of The Dating Divas. Need plans for the whole night? Courtney shares ideas for every half hour starting at 6:30 with printables and ideas for every kind of party; kids, spouses, family groups, just to name a few. 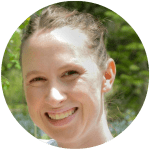 30 New Year’s Party Games for Kids from Anna at My Life and Kids. This is the ultimate party list for those of us celebrating the new year with kids. With coloring sheets, minute to win it games, scavenger hunts and games to help build vocabulary, memory and sensory play I’ll be referring back to this page not just for New Year’s Eve but for other family parties too. 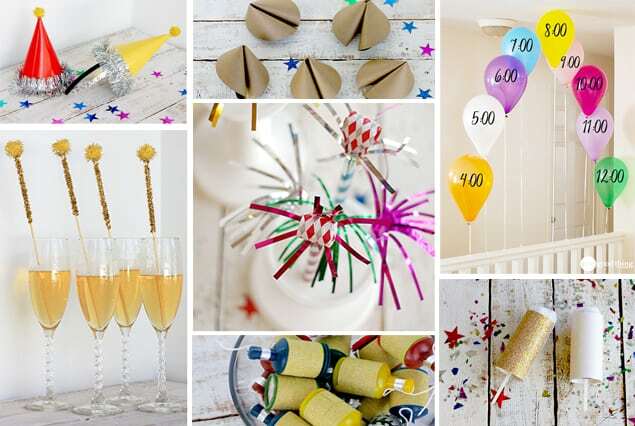 10 Easy New Year’s Eve Decor Ideas from SohoSonnet. Want to ring the New Year in with lots of gold and style? Don’t want to spend a lot of time or money? Sonnet has you covered! From thumbtack votive candles to glitter champagne (or sparkling cider) bottles, there are plenty of chic, glittery decor ideas here to make your home sparkle. 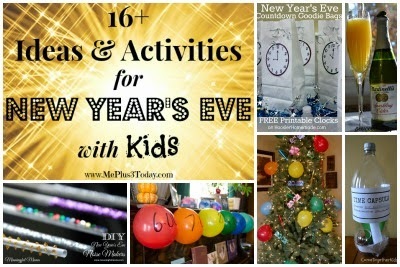 16 Ideas for New Year’s Eve With The Kids from Sarah at Me Plus 3. Another favorite round up of mine! With everything from treats to games, printables to the midnight countdown, Sarah has put together everything you need to celebrate with little ones this year. 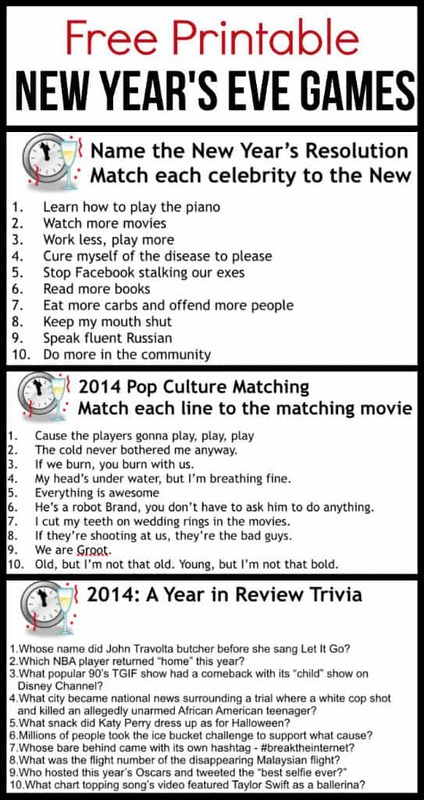 7 New Year’s Eve Games from 2014 from Britni of Play Party Pin. Every year Britni puts together great games including trivia from the past year and goals to shoot for the following year. New Year’s Eve Photo Booth from Capturing Joy with Kristen Duke. 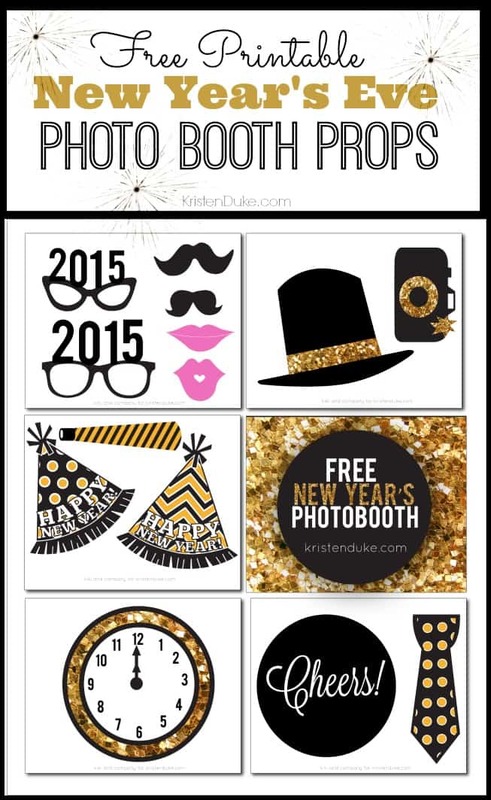 Kristen shares the cutest printables to use as props in your NYE photo booth. New Year’s Time Capsule from Pretty Providence. This is a tradition I am so excited to start this year! 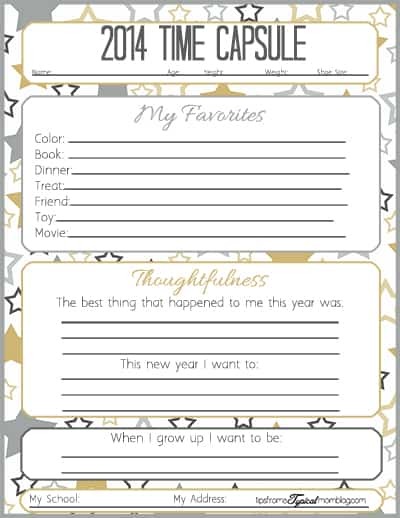 Fill these out with your kids, put them in a jar or can and re-open 10-15 years later. It’s going to be so fun to see how my boys’ answers change as they get older. 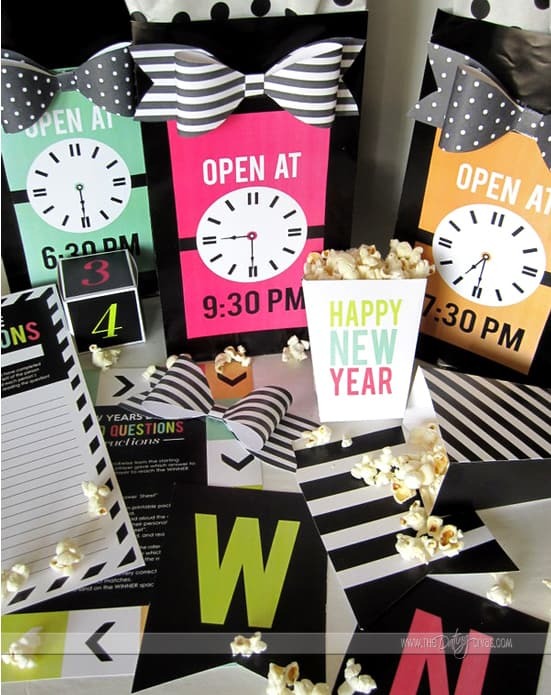 20 New Year’s Eve Party Games from Tiny Prints. This is the ultimate collection for any party this NYE! You can filter games by party guests (kids, adults, etc.) and by type of game (trivia, ice breakers, current events) AND Tiny Prints includes all the resources you need for every game! What more could you ask for? 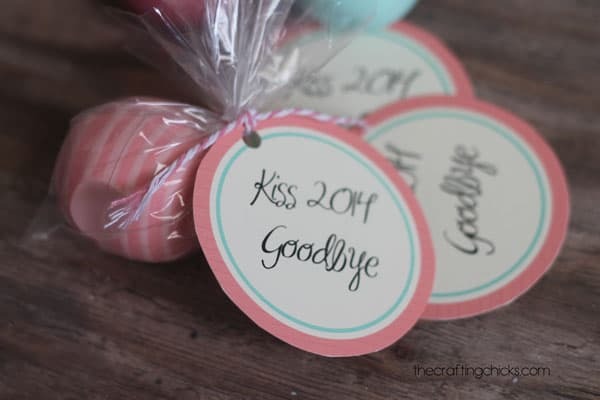 Kiss 2014 Goodbye Favor from Becky at The Crafting Chicks. These will make the cutest favor for any party this New Year’s or to give to your girlfriends as a way to welcome in 2015. Thank you so much Amanda; those bottles are my favorite too! I totally agree with you there Mandy! I am loving all your countdown ideas! We are having a party tonight, and I wish I had found these ideas earlier. Thanks for joining us for Hump Day Happenings! Thank you Jenna; and thanks for hosting too! I really like your tip about creating a New Year’s time capsule and then opening it again in 10 to 15 years. My husband and I usually stay in on this holiday because we don’t plan enough in advance. This year, we’d love to go to a fun party where we can dance and let our hair down. I may need to look into the time capsule thing too.